Resistance bands are showing up more and more now in the fitness world, in gyms, and workout routines like P90X . Workout resistance bands have been around for almost a century. These workout bands were originally used as a fitness technique, and then progressed to be used as a rehabilitation device. 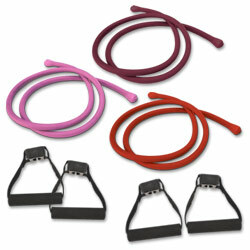 Now, resistance bands are widely used for fitness and rehabilitation. Dumbbells are excellent for resistance training, but dumbbells are only one dimensional, offering resistance against gravity. P90X B-LINES® Resistance Bands do not rely on gravity to provide resistance; this makes the P90X B-LINES® Resistance Bands’ movement more functional in simulating everyday activities and sport specific activities, opening up unlimited potential for use. Because free weights rely on gravity for resistance, they only provide resistance in a vertical plane; this means if you use free weights in a horizontal plane, such as side twists, there is no resistance. With P90X B-LINES® Resistance Bands , if you were to anchor down one side and perform exercises such as side twists, sidekicks, punches, or even sport movements such a baseball swing, or a basketball pass, they provide resistance. Both traditional dumbbells and resistance bands provide similar capabilities of resistance, and range of motion, which are critical for muscle strength and fat loss. P90X B-LINES® Resistance Bands are an excellent alternative to the traditional dumbbells, as resistance bands offers many advantages. Portability – lightweight and easily stored and transported. Use it anywhere, indoors, outdoors, in a hotel, anywhere. Compact – P90X B-LINES® Resistance Bands are as portable as they come, and you don’t need to take the whole set with you. They easily fit in a pocket of a suitcase, or a corner of your backpack or overnight pack. Function – P90X B-LINES® Resistance Bands offers more functional strength, better injury prevention, greater ability to change muscle emphasis during exercises, and easier use. Affordable – at $40 for the set, it is less than a month’s of membership at a gym! Best of all, you can work out at your convenience, in the privacy of your home or take them along for travel. P90X B-LINES® Resistance Bands are a great piece of equipment that rivals the most expensive home gyms and health clubs yet fit in your workout bag! 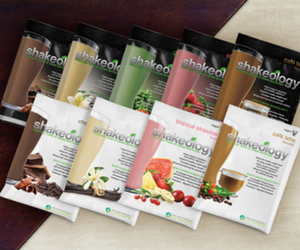 I currently use the Super kit, our most popular kit, which comes with range of 15-30lbs. It is more than enough of me when I do the P90X Shoulders & Arms workout. An excellent way to keep your self motivated it to get the next set up, which is what I have done. I’m struggling with last few reps right now, but I have already gotten the Extreme Kit (20-40lbs) because of the progress I’m making. For women, I’d recommend starting with the Standard Set (15-30lbs), then progress to the Super Kit. 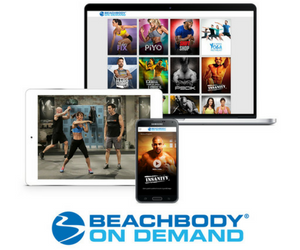 Join Team Beachbody for free – You’ll become part of an active and supportive fitness community!